If there is one thing the Unger family knows about, it’s FOOD! We love to cook (and eat), and are constantly experimenting on how to make it taste “just a little better”. The result of this is seen on our bakery shelves and in our Deli. 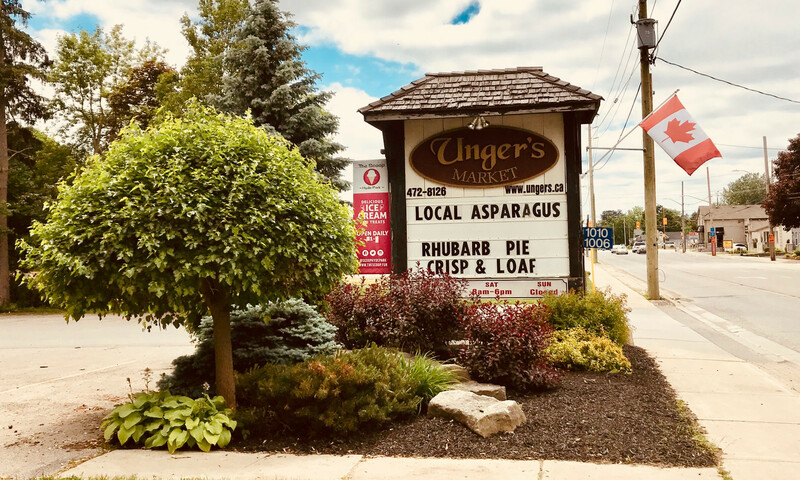 Since 1986, Unger’s Market has been offering fresh local produce, meats, and delicious baked goods (many taken right out of Mom’s recipe books), perfectly spiced chicken, and hot dishes that would have been served on our own family tables. We are famous for our sandwiches, which were created by Mom Unger herself....yes, there is an art to making a sandwich! (it’s all in how you fold the meat and spread the mayo) You get to be the artist by filling out a sandwich order and creating your very own scrumptious masterpiece. Over the years, many departments have been added to our little market. We have an Irish butcher, Nigel Moore, who makes delicious tasting sausage (Shannon’s Sausage), gourmet hamburgers, and even Scotch eggs! Barb Macfie, our bakery manager since 1996, and her amazing team are busy before the crack of dawn creating delectable pies, loaves, muffins, tarts, squares, cookies, pastries, scones, meat pies, quiches, cheesecakes, cupcakes, and so much more! Darlene Bauman has introduced a whole new department, Ladies’ fashion wear! She has an eye for beautiful things and brings them to our cozy market, displays them in a magical way, and they don’t stay around for long. We almost should sell tickets just to look at all her giftware vignettes set up around every corner, that’s how stunning they are. 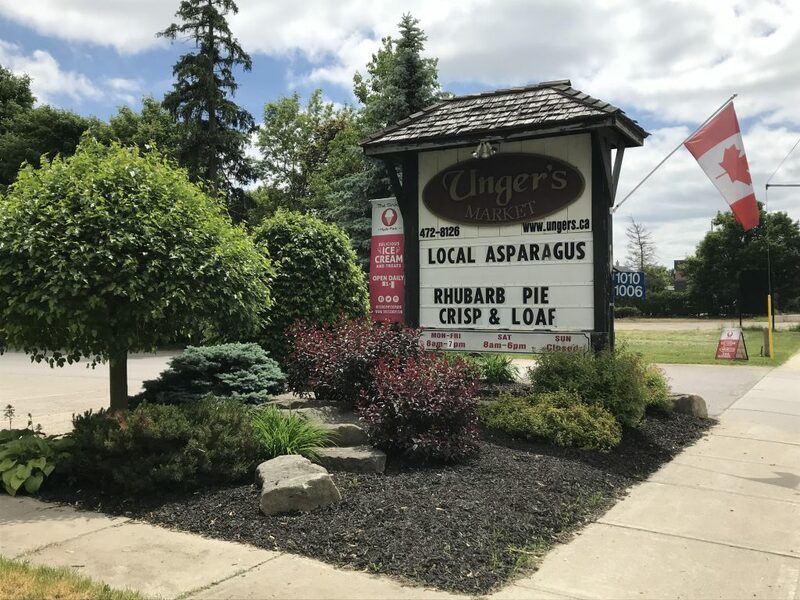 Unger's will bring your favourites right to your door for your next party, meeting or event, see our extensive Catering Menu. 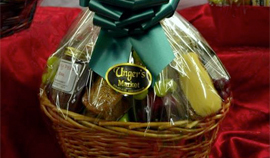 We also have made-to-order gift baskets for any occasion. The Unger family and staff would love for you to “come to our house” and enjoy our food, explore the different departments, and become a part of our little family. 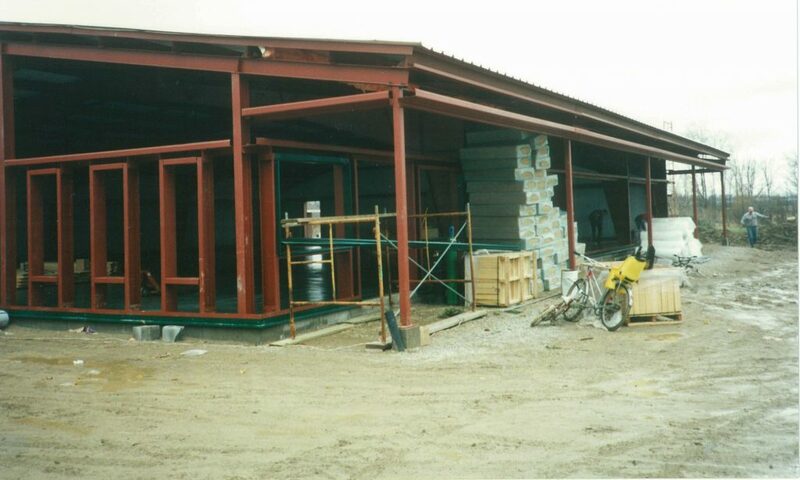 The New Unger's Market, going up in Hyde Park, 1995.